Even though there are a lot of video file formats the Apple iPad can support, there are even more file formats that it can't be supported. If you've ever tried playing MTS, FLVs or WMV files with your iPad, you might have been disappointed to know that it's not going to work in it. But you need to know that it is easy for you to play any video you want to watch on iPad with one video converter. When you know which file formats an iPad can support, you can just easily convert your files into it and make it playable on your device. The iPad can support a lot of of the common video formats we are using today; these includes H.264, MOV, M4V, MP4, M-JPEG, and MPEG-4. The videos play on the iPad's Videos app by default. If you have an MTS file that you want to watch on your iPad, the option you have is to convert your file into something that is compatible with iPad, and to guide you on converting your file, here is the step by step instruction how to do it using Wondeshare Wondershare UniConverter for Mac (originally Wondershare Video Converter Ultimate for Mac). Step 1 Install the MTS video converter. 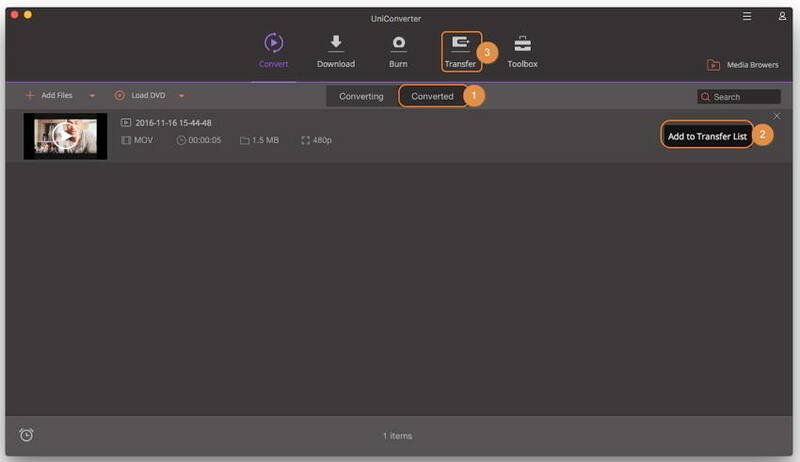 Download Wondeshare Wondershare UniConverter for Mac (originally Wondershare Video Converter Ultimate for Mac) from below and install it. Step 2 Launch the program and import the MTS file. After successfully downloading and installing the program on your Mac, launch the program and it will open showing the Convert > Converting tab by default. From there click the Add Files button to locate the folder where the file you want to add. Alternatively, you can simply drag and drop the file to the program. Step 3 Choose the output format. From MTS format, you want to convert your file to something that is playable on your iPad, in order to choose an output format for your file, click the inverted triangle icon beside the Convert all tasks to to enter the Output Format window, click Video/Audio/Device/Editing/Recently tab, and select one format there you can choose which one you like, you can either choose MOV, M4V, MP4, or MPEG-4 as your output format. Step 4 Convert the MTS file to be the iPad compatible format. After choosing the target foramt, you're ready to convert the file, click the Convert All button at the bottom-right corner of the window and the video conversion will begin. You are able to pause or cancel conversions whenever you want. And to monitor the status of your conversion, there is a progress bar as well. Now that you have your MTS files converted, the next thing you have to do is to transfer the video file to your iPad, to do this, follow the given instruction below. Step 1 Connect your iPad to your computer. Connect your iPad with a USB cable, when your Mac detected the device, it will remind you of trusting the Mac on your iPad. Click Trust to go ahead. Step 2 Import video to iPad. Go to the Converted tab, and click Add to Transfer List beside the converted file to add the file to the Transfer list. Then go to the Transfer section, and click Transfer All button to transfer the converted MTS file to iPad. You can find the transferred file on the right iTunes window by clicking Media Browsers. Wondeshare Wondershare UniConverter for Mac (originally Wondershare Video Converter Ultimate for Mac) can handle almost any kind of conversion that you have to do, whether you need to convert an MTS into an MOV file or making a video that is compatible with your mobile device. 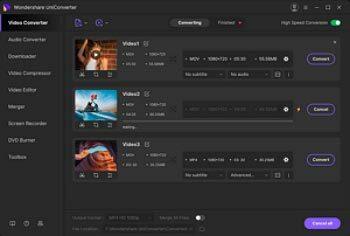 Wondeshare Wondershare UniConverter for Mac (originally Wondershare Video Converter Ultimate for Mac) also provides you with the capability to optimize your filesfor sharing on video-sharing websites such as Facebook, YouTube, and Vimeo. This makes this software stand out among other video converter software.